We may come to yoga to tone our body. Yet yoga also gives us emotional tools – tools we use every day. find movement in stillness and space in movement. You will find your body’s rhythm and its strength and suppleness. and embrace your best self. Yoga is about enjoying your body and honoring it so that you understand each other and become friends – as well as fine tuning your body. Often we are put off by images of lithe people tying themselves in knots – but this is not yoga to me. A yoga practice is different every time. We learn to tune into our body, take care of our body and connect it to our mind. yoga gives us tools to find our way through life’s changes. When you get on the mat, you never know what you’ll find. That’s the beauty of yoga – it’s ever changing, because we’re ever changing – and we bring different things to the mat. At the same time, yoga helps us be open and connect to what is revealed to us during our practice. In this way it helps us in our daily life. tools to step through life with confidence. move forward as you best self. that opens mind-body connections and awareness. All are welcome to explore and tune into the hum of their mind and body. conducive to exploring and enjoying yoga. both the stillness and the movement within each asana. 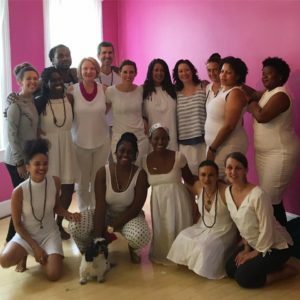 My 200 Hour Yoga Teaching Training was with Faith Hunter at Embrace Yoga in Washington, DC. Everyone is truly embraced, and students and instructors are a real mix. 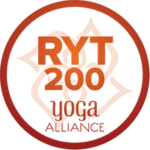 People of differing ages, different shapes and sizes, different backgrounds, different ethnicities, different countries are all doing yoga together. To me, this is the way yoga should be. So often it’s intimidating to walk into a studio or a gym. You wonder – will everyone be young and fit? Will I be good enough? Faith truly encouraged us to find our voice during yoga teacher training. 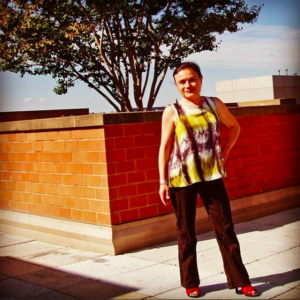 And as I was turning 50, I found mine in change and the chapters in life. Our lives have seasons, an ebb and flow, and yoga should change with this. 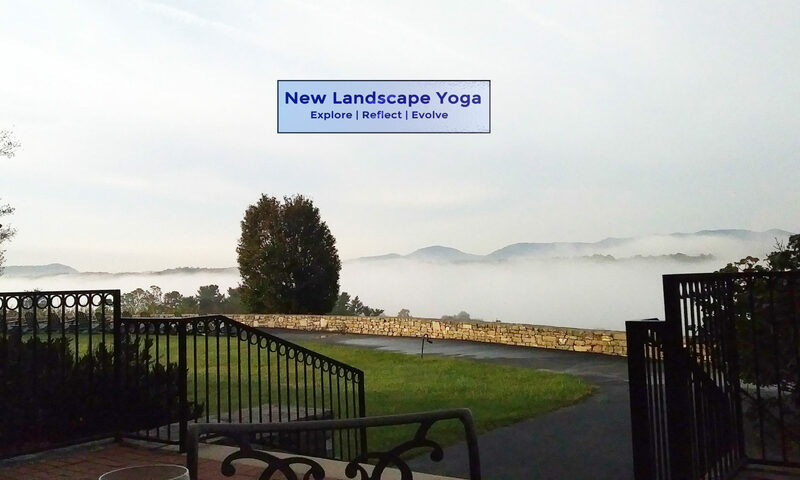 New chapters seem to abound in life, and my yoga journey started as I was approaching midlife. In fact, I was finishing up my yoga teacher training in 2017 when I turned Fifty. Don’t you wish you could approach change with equanimity? Yoga is doing this for me – me a new way to approach this change. It helps me tune into what is important in life and be more open to change. I find I approach life with more openness and curiosity and less fear, less wish to control. This is especially true as I provide care for my mother, who is in her Nineties! I am more able to roll with things and enjoy her company. I can be excitable. I can feel an emotion igniting within me, and sometimes it can be hard to contain. Yoga helps keep me grounded and centered so that I can react in a more considered way. I am coming more from a place of considered action than reaction. When I can do that – it makes all the difference. Yoga on and off the mat – steadiness and ease. Yoga also gives me a way to keep my body humming and feeling strong. I originally came to yoga for its physical benefits. I had been very active into my teens but then it dropped off. I walked a lot, but that was it. In my mid forties, I came to realize that if I wanted to keep moving, I needed to keep using my body and help it stay fit and energized. That is why I first came to yoga. Yoga is giving me tools to navigate change – this large one as well as other daily small ones. As I practice yoga, as I see what my body is telling me today, as I explore each pose, I find how yoga helps my daily life. It is an unanticipated consequence, deepening my connection to my body. where the mind and body working together is taking me.